IPs from any country in the world. We Now Offer Unique C-nets from any Country in the World! SEO Hosting (C-class IP hosting) is the optimal solution if you want to create links between your own websites and at the same time be able to rank on top of the search engine results page. This is different from other traditional hosting services as it allows you to have unique and dedicated IPs from the country of your choosing, all routed to one server! Why you many need it? 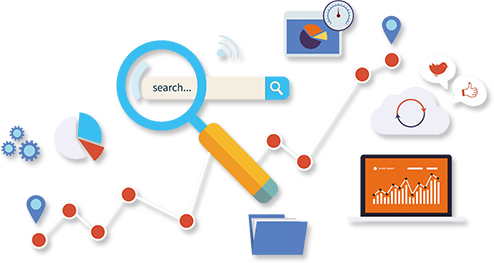 We offer custom and pre-configured hosting solutions for SEO as well as additional purposes via our Dedicated Server and VPS SEO Hosting Solutions but you can also find some of the most popular SEO Hosting pre-configured packages. Search engines award a higher ranking to a site that has links pointing on it from related sites located on unique Class C IPs. You can view our full list of our locations here. C-class IP hosting is different than traditional hosting as it takes hosting a step further by giving you the ability to spread your domains out acrοѕѕ a wide variety of unique and dedicated IPs. Thіѕ is done by utilizing unique C-Class IPs that are location specific whісh can help your rankings by using the specific country you wish to have your sites rank in. So those days when you had to hire many different hosting providers to meet your needs of unique C-Class IP addresses and various locations have now been eliminated with our International SEO Hosting solutions. For more information on our SEO Hosting solutions just fill in the form below and one of our specialists will be in touch shortly! You can also read our extensive FAQ for more information about seo hosting.